StudioXY — the first of a planned chain in the United Arab Emirates — offers innovative services and products not seen before in the region. 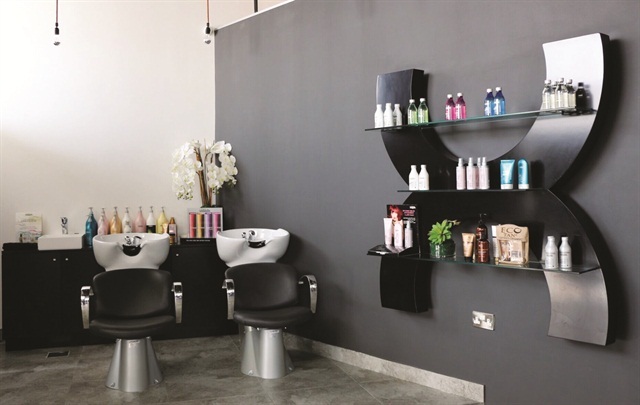 It takes a healthy amount of ambition to open any new salon, but Sharis Shiribabadi, owner of Abu Dhabi’s new StudioXY, has set her sights higher than most. Her goal is nothing less than to revolutionize beauty and grooming in the United Arab Emirates and the entire Middle East. StudioXY — the first of a planned chain — offers innovative services and products not seen before in the region. It’s actually comprised of two separate salons: StudioX is dedicated to women, while StudioY is exclusively for men. Both salons feature neutral tones with a splash of copper, creating an atmosphere of understated elegance. The salon also makes it a point to steer clear of gender stereotyping. “Whether you are a woman who likes to have a spikey colorful pixie haircut or a guy who enjoys receiving weekly lavender spa mani/pedis, StudioXY is focused on assisting you,” she says. Customer service is a priority, but affordability is also important. A mani/pedi runs $40 with traditional polish and $80 with gel-polish. A set of acrylics runs $87. For more information, go to www.studioxy.com.